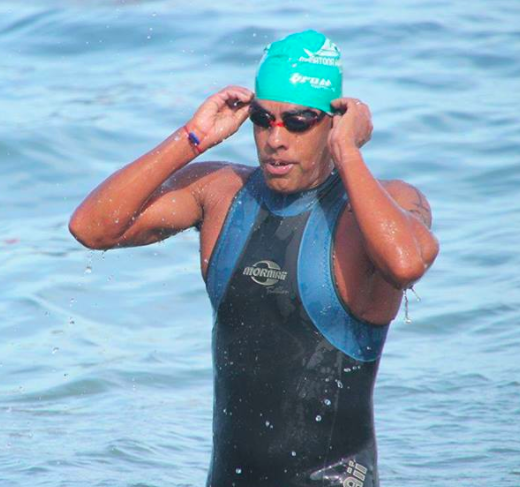 After winning the 24 km Maratona Aquática 14 Bis in November, 43-year-old Artur Pedroza won the 3 km XTERRA Swim Challenge for the third consecutive time in Paraty and wrapped up the season championship. "I was the 3 km overall champion and was a triple champion in XTERRA Swim Challenge. I am very happy for the achievement and also with the results of all the athletes from my Resende Águas Abertas club," Pedroza reported. Ariadne Rodrigues easily won the race and season championship in 45:01.